Today Mike and I decided to ascend Mt. 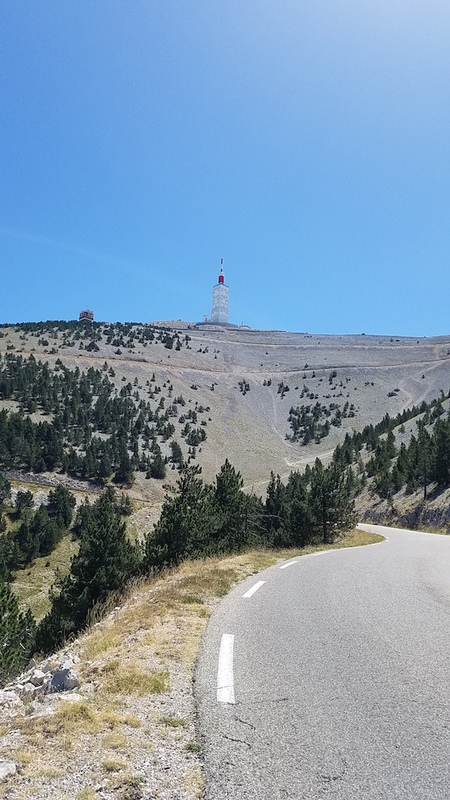 Ventoux from a different direction, starting in the town of Malaucene. 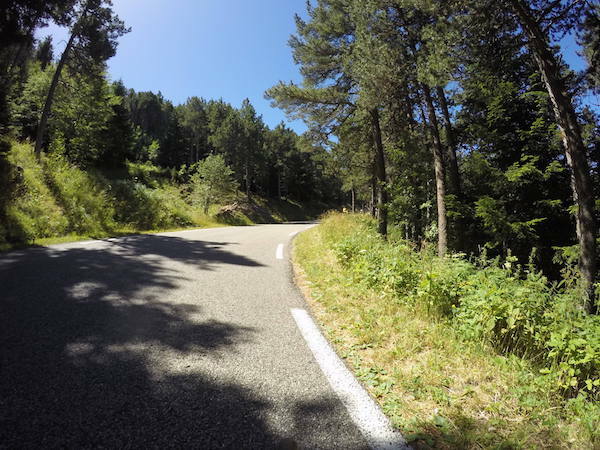 To get to Malaucene we rode to Bedoin and then up and over a beautiful pass, the Col de Madeliene, that gained approx. 1000 vertical feet. From there we descended into Malaucene for the climb up Mt. 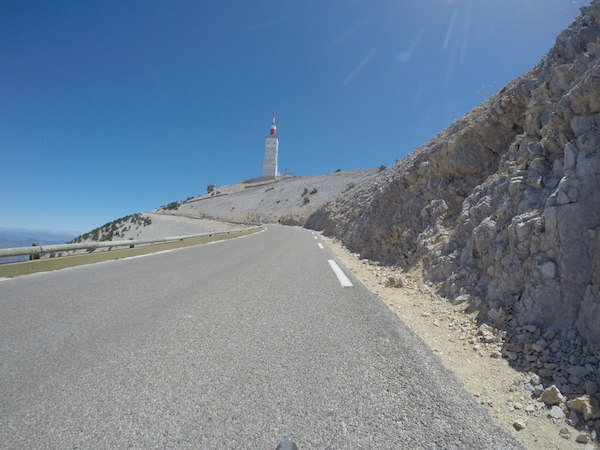 Ventoux from the north. While this side is not as difficult as the climb from Bedoin, it still climbs nearly 5,000 feet in 13+ miles, so it's not easy! The road starts out gently, winding its way through the trees, and then with only a couple of miles to go you see the radio tower directly above. And here's the view as you approach the summit. As you can see from the pictures it was a beautiful sunny day, although warmer than I would have preferred. After stopping for lunch at the same same ski station where we ate yesterday, we descended to Bedoin and back to our chateau in Mazan for a much-needed nap by the pool. Thus far in six days of riding I've covered 265 miles and climbed nearly 40,000 vertical feet! Tomorrow's a travel day then it's a couple more big days in the Alps.